The Ruaha ecosystem of central Tanzania is thought to support some of the most important populations of African wild dogs left in the world. However, no research has been conducted of the actual demography, health status and ecology of this endangered species. Collecting such information in the Ruaha area has been highlighted as a top priority in carnivore action plans, in order to develop accurate conservation strategies for this species in East Africa. 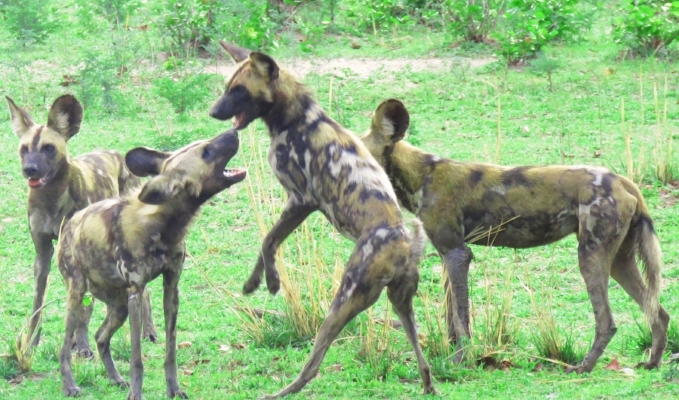 This research aims to provide important baseline data, and is a critical first step towards providing much-needed information for African Wild Dog action plans in the Ruaha landscape of Tanzania. Wild Dogs are an integral part of the park's ecosystem and need to be understood to be protected. We are working with local Chiefs and villagers to minimize the human-wild dog conflict. Through education and training, villagers can keep Wild Dogs away from their cattle and live in harmony with these beautiful animals.